I think you’ll agree with me when I say that you wouldn’t want to wear a wedding ring (or any piece of jewelry) made with gold that has destroyed communities and ecosystems. These days, many jewelers create their products with recycled gold. Recycled gold, they claim, will reduce mining and make a real difference to the environment. Unfortunately, this claim is not true. In this article you’ll discover inside information that will most likely surprise you. You’ll also be able to cut through “ethical jewelry” propaganda. Ultimately, you’ll learn how your purchase of truly ethical jewelry and wedding rings can empower grassroots economic development, and support an international movement that will transform the sourcing of jewelry. 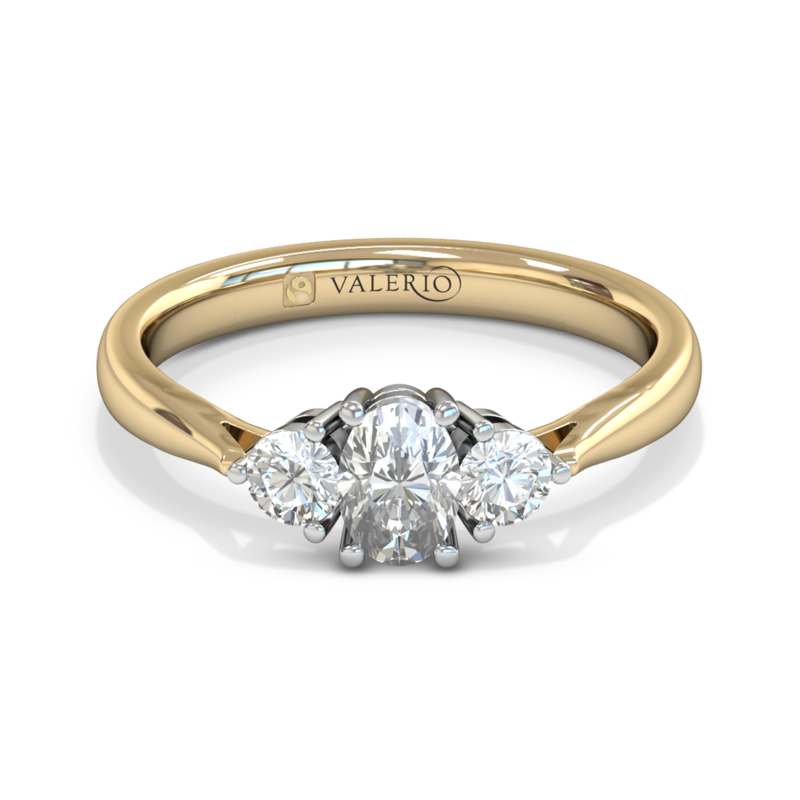 Best of all, the heartfelt meaning of your gold jewelry or gold wedding rings will align with its sourcing. 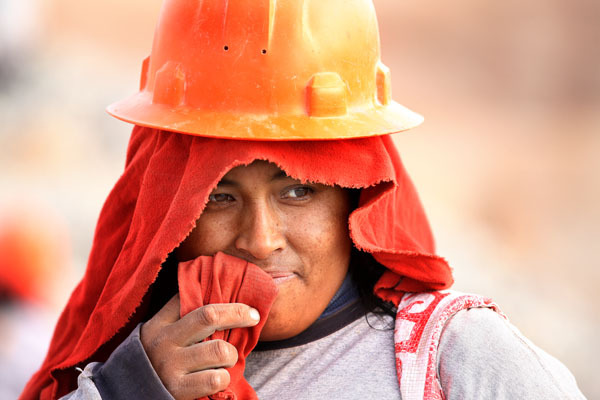 A female Fairtrade Gold miner from Peru, part of the Esperanza Miners Association. 1. Recycled gold could be dirty or conflict gold, because we really don't know where it comes from. 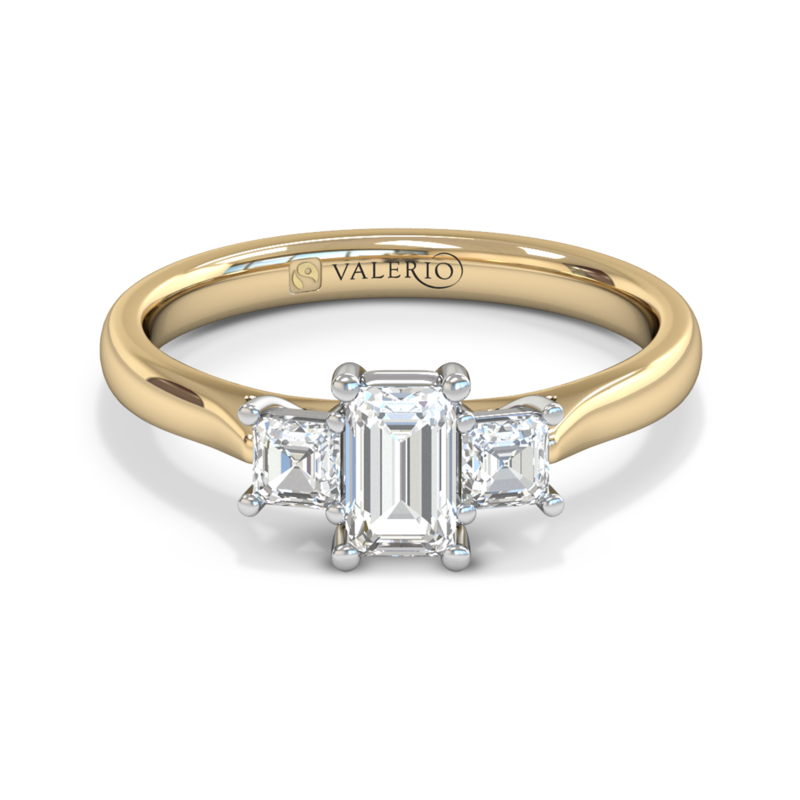 The most important question to ask your jeweler is: is this piece traceable from mine to market? And yes, this definitely applies to jewelers who make recycled gold wedding rings. With recycled precious metals, we, as jewelers, can only trace back to the recycled metal supply house. How was it mined? We never know. It’s true origin might be the worst, most toxic gold mine in the world. Once that gold is refined to its pure state, it is resold as “eco-friendly” recycled gold. Jewelers produce scrap from manufacturing and also purchase gold from old jewelry. This material is refined then reused. 2. No matter how much recycled gold we use in gold jewelry, it does not deter gold mining. It’s true that in an ideal world, we would not need to mine anymore. We already have 167,700 tons of gold laying around—mostly in bank vaults, electronics and jewelry. Even today, according to the World Gold Council, recycled gold accounts for half of the world’s annual supply. By recycling about 3% of the total amount of gold (of this 167,000 tons), we could satisfy all our annual needs. Alternatively, we could also get all the gold we need yearly by 5% of the already existing gold jewelry. In theory, we could eliminate all mining as of today by striclty using recycled gold. But, the problem is, mining takes place regardless of how much recycled gold goes into wedding rings. It's simply too valuable, and it will always be worth somebody's effort to mine it. It all depends upon the price of gold and the specific conditions at the mine. Gold is an investment hedge. When the stock market is shaky or economies seem on the verge of recession, people flock to gold. 3. The recycled gold “movement,” as an anti-mining deterrent, is an ethical façade not backed up by reality. Congratulations! You’re the largest gold mining company in the world. I am certain now that my eco-friendly purchase will inspire you to cease all operations immediately. To all the shareholders, who’ve invested billions in your company, thanks for taking the loss for the good of our Mother Earth! Gold is like currency. Its value rises or falls based on our economic climate, not how many gold wedding rings a company may or may not sell. 4. The marketing of recycled gold as an eco-solution takes advantage of the ethically-concerned consumer's ignorance. The more recycled paper we use, the less forests that are clear-cut. True. And recycled plastic bottles reduce the need for more oil. True. Ergo: the more gold we recycle, the less we’ll mine. False. The loudest voice is Brilliant Earth, which gets over 800,000 visits a month on their website. They advocate recycled metals as part of their “movement” as the “global leader in ethically sourced fine jewelry”. Jewelry companies have taken advantage of the recycled concept, which creates a halo effect on any product for the green customer, particularly in the US. Recycled is great, but recycled gold as an eco-friendly solution is deceptive. Let me be clear: There is nothing wrong with using recycled gold, for many jewelers it’s the best alternative option. 5. Recycled gold, as an ethical choice, is a transitional solution for jewelers who cannot produce their product in Fairtrade metals. It all started with Earthworks “No Dirty Gold” campaign in 2004. Concurrently, the blood diamond tragedy was also gaining wide exposure. Jewelers and the public became more aware of ethical jewelry issues. A few years later, Hoover and Strong, the most environmentally-concerned jewelry supply house in the industry, began offering all its products in certified recycled gold. These days, recycled precious metal is still a better solution that buying metal off the open market, because it raises the profile of ethical sourcing. And in some cases—particularly in the US—it is the best alternative option. The real change makers in the jewelry sector knew from the beginning that recycled metals were only to be a stepping stone-- not a destination. Recycled metals don’t do anything for the environment, but you can still make a difference. There are three ways that you (as a consumer) can impact mining in a very real way. FIRST: You can Support Earthwork’s Initiative For Responsible Mining Assurance (IRMA). Earthworks is an environmental NGO (non-governmental organization) sponsoring IRMA. They are taking a radical centrism approach. The basic idea is to implement best-possible mining practices, and award them a certification from an environmental NGO known for their activities as an anti-mining watchdog. This was the lead photo on the Stop Santa Fe Gold Facebook campaign. SECOND: Support a jewelry company that is working to oppose large scale mining. I know recycled gold for wedding rings does not impact large-scale industrial mining from my community campaign to block a gold mine south of Santa Fe in 2013 and 2014. Toward the start of the campaign, gold was around $1800 an ounce. That high price of gold made it economically-viable for the mining company, Santa Fe Gold, to pay for the electricity, water, and mining equipment necessary to crush 169 metric tons of rock to extract a single ounce of gold. When gold dropped south of $1200, the mine was not as economically-viable. 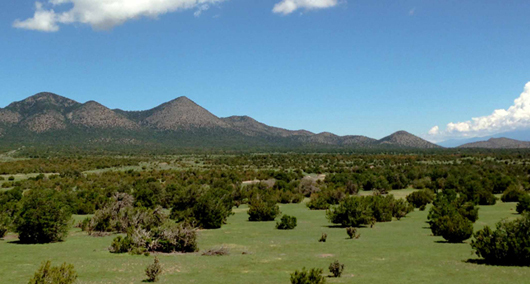 Though we would have blocked the mine in court with the support of our friends at the New Mexico Environmental Law Center, the company eventually went bankrupt. It’s clear that in the case of large-scale mining, a recycled gold wedding ring purchase would not have helped my campaign. verge of receiving their Fairtrade Gold certification. THIRD: Reform Small Scale Mining Through Buying Fairtrade Gold. The most profound impact you as a jewelry customer can have comes from supporting ethical small-scale mining. 6. Fairtrade Gold addresses serious economic issues that impact small-scale miners and their communities. While large-scale mines take place to enrich companies and their investors, small-scale miners dig because it is the only way to feed their families. The lives of small-scale miners are characterized often by poverty, exploitation and unsafe practices. The miner will sell that bit of gold to a trader for a few dollars, about 30% less than its true value, to feed his/her family. Thus, s/he remains caught in a cycle of poverty, no matter how hard s/he works. With Fairtrade gold the miner is paid a fair market price. Miners also receive social premiums of $2000 per kilo produced, which is then used for community projects—such as new schools, clinics, and/or elderly care. In this photo I took in Tanzania, a miner mixes gold and mercury in water and dirt with his hands. 7. Fairtrade Gold addresses serious environmental and health issues that impact the small-scale miners and their communities. 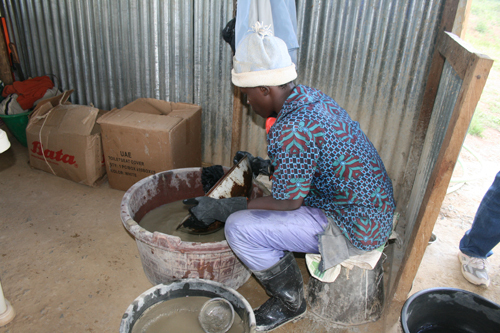 The photo above shows the process common with millions of small scale gold miners around the world—manually mixing mercury and gold with unprotected hands. My brother, a high school science teacher, tells me that if a mercury thermometer were to break in his class, a HAZMAT team would be called in. This miner will take the mercury/gold amalgam, and burn off the excess mercury in his kitchen frying pan to separate it from the gold. This bruning creates methylmercury, one of the most dangerous neurotoxins known to man. This miner at a mine up for certification in Uganda is using protective gear when dealing with mercury. The goal, however, is to eliminate the use of mercury completely. Small-scale mining is the largest contributor to global mercury contamination in the environment. 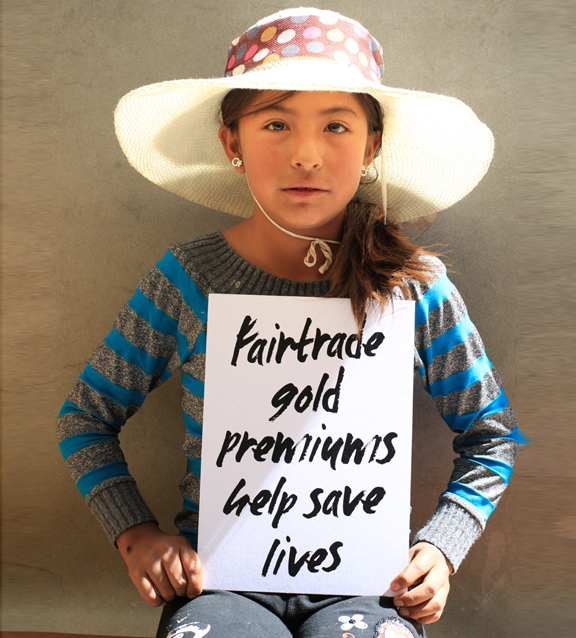 Fortunately, we can do something about this RIGHT NOW, through the Fairtrade Gold movement! 8. 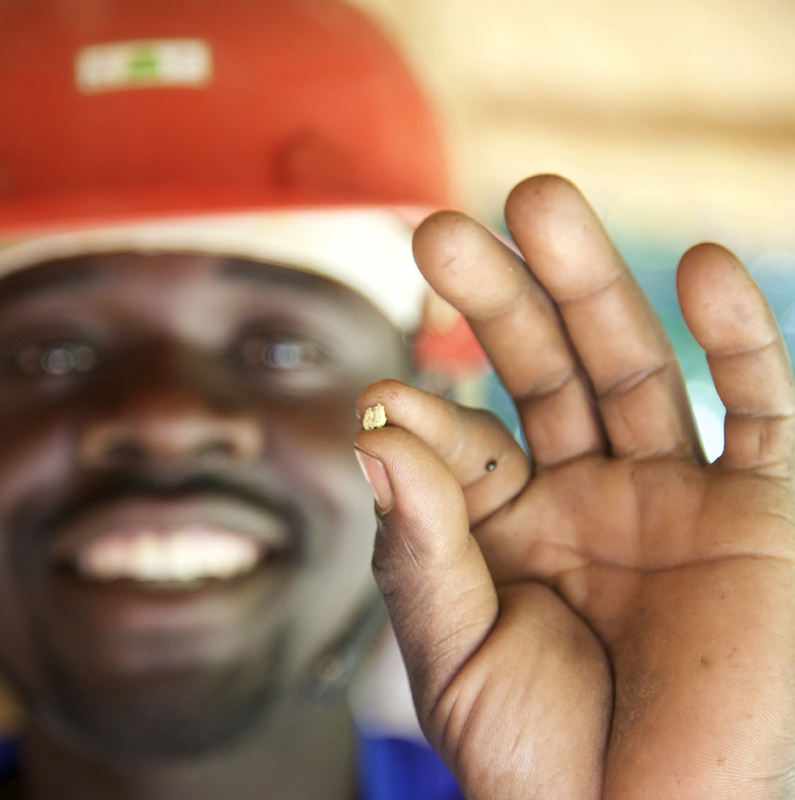 Your purchase of a Fairtrade Gold wedding ring makes a real difference for small-scale miners. Fairtrade Gold comes from certified small-scale mining communities. 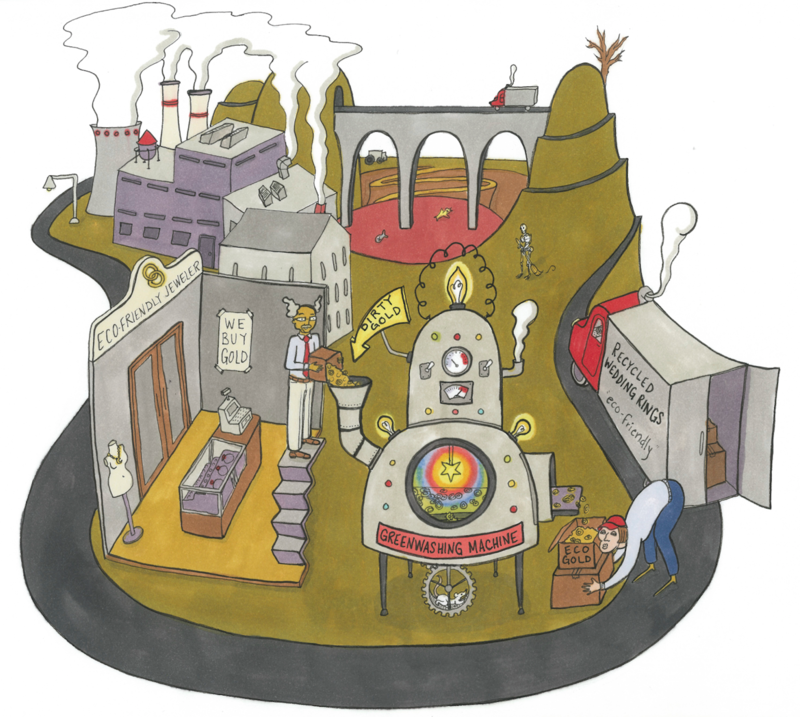 Miners are taught to mine gold within internationally-accepted Fairtrade standards and principles. They are taught to use mercury safely, and given strong incentives to eliminate its use completely. Plus, they are empowered. It gives them and their families the opportunity to be paid a fair price and build their futures, investing in schools, better working conditions and improved healthcare. Just like Fairtrade has changed consumer perception and consciousness around coffee, chocolate, and bananas, Fairtrade Gold will one day alter how people view jewelry. 9. Small-scale mining through Fairtrade requires less waste than large-scale mining to produce gold for a wedding ring. 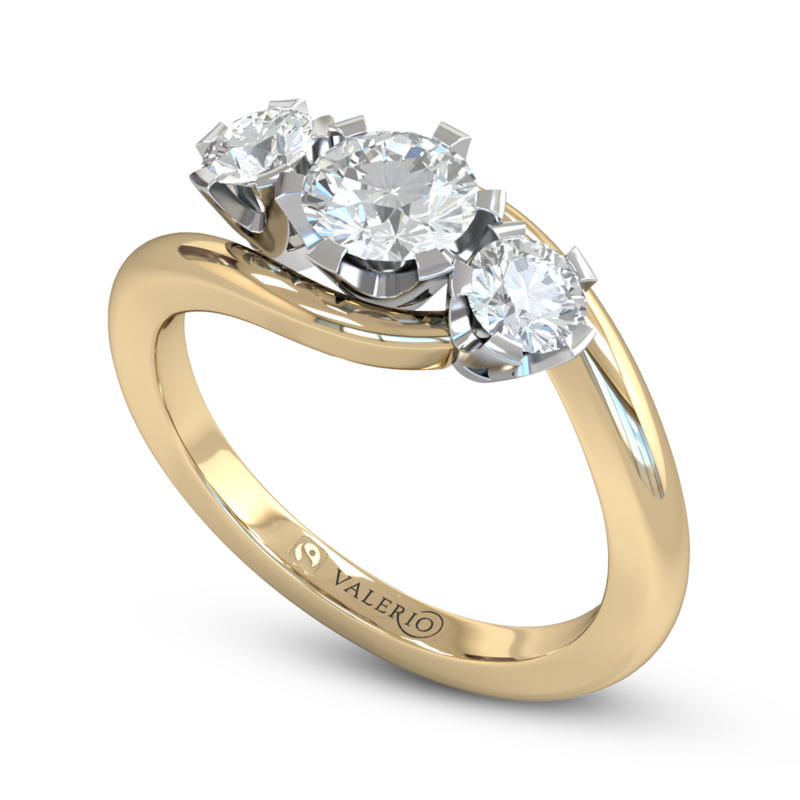 How much mining waste do gold engagement rings generate? It depends on the size of the ring, the karat of gold and the mine conditions. 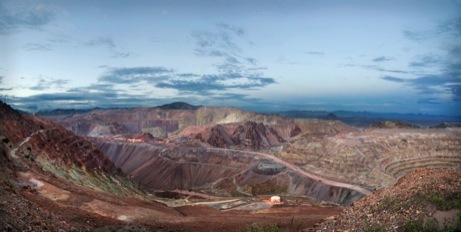 Conditions can vary tremendously, but large-scale mines are more wasteful. Large mining operations can crush over 160 tons of rock to get an ounce of gold. That means the gold used to create a single wedding ring might generate 100,000 pounds of mine tailings (waste). Small scale mining often takes place in areas where there is an ounce of gold per ton of dirt. That means the gold used to create a Fairtrade Gold wedding ring might cause a mere 500 pounds of mine tailings (waste), in comparison to the 100,000 lbs from conventional large-scale mines. 10. Recycled Gold Advocacy as an Eco-Solution Damages Advocacy For Real Change. Given what we know about recycled gold, large scale mining and Fairtrade Gold, we can now know that promoting recycled metals as optimal eco-friendly choice negatively impacts those who are truly trying to reform the small mining through Fairtrade community empowerment. Consumers who could be real advocates for change are deceived into believing they are making a difference to the environment-- when actually, they are not. 11. 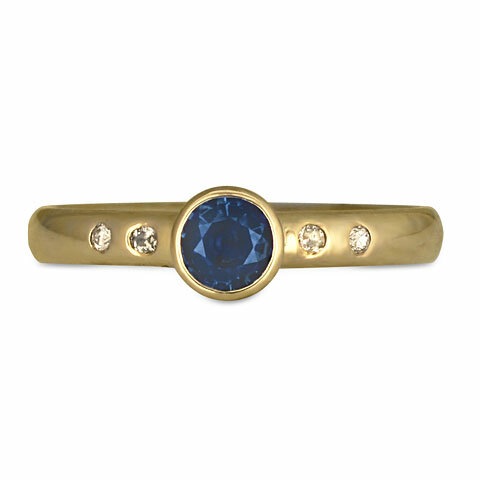 Fairtrade Gold Jewelry Deals with Issues on the Ground Directly, with Viable Solutions. The real criteria for ethical gold and gems must be based by their positive impact for producer communities, both environmentally and socially. Impoverished producer communities are going to continue to mine, because it is the only way for them to survive. So, any real ethics must be based upon working with these communities. Advocacy of recycled gold and synthetic gems (including lab-grown diamonds) as responsible jewelry choices bypasses issues of poverty, exploitation, and inequitable relationships between the consumers and producer communities. This is also true for vintage rings, which have no social or environmental benefit. 12. When you accept that the purchase of recycled metals makes a difference, you are supporting a disturbing "bait-and-switch" among corporate jewelers. These days, because the supply of recycled metals is so easy, any jeweler can do it. In fact, the largest jewelry supply house has made it central to their ethical sourcing platforms. This is not necessarily bad. But it is another example of how jewelry companies create the façade of environmental and social responsibility through marketing, all while changing nothing that impacts their bottom line. Want more examples of this endemic bait-and-switch? See my critiques of the so called “conflict free” Kimberley Certification Process, Part 1 and Part 2, or Earthwork’s critique of the Responsible Jewelry Council. Most disturbing of all is the “conflict free” narrative associated with diamonds. How can we market diamonds as "conflict free" or "beyond conflict free" without restitution and reconciliation to the 3.7 million Africans killed in wars funded by the diamond trade? This suggests that African lives don’t matter. These days, the major supply houses in the US allow any jeweler to produce their lines in recycled metals without difficulty. Any jewelry company with a web, PR, or marketing team can produce an “eco-friendly” recycled gold jewelry line in their sleep. 13. Fairtrade Gold is Better than Recycled Gold Because it Represents Real Change: A Traceable and Transparent Connection from the Jeweler Back to the Mine. The powerful potential for Fairtrade Gold to influence the jewelry market is obvious. Yet finding a way to make our jewelry with Fairtrade Gold has proven risky, expensive, and nearly impossible. For a long time, we had no supply house in the US. From a business point of view, it makes little sense. From an ethical point of view, it is the only choice. That is why my company, Reflective Jewelry (as of April 2019) is still the only certified Fairtrade Gold jeweler in the US. At present, we offer as much Fairtrade Gold as we can—while we use recycled gold for the rest of our products. We hope, in the near future, to be able to make a complete transition to Fairtrade Gold. Unfortunately, some pieces necessary for our jewelry production (mill products such as gold sheet and wire) are still not available in the US. Only Fairtrade, one of the most respected global brands, has the power to change how jewelry is perceived in the US market. Only a fair trade movement in jewelry can create massive changeust as it has done with coffee, chocolate and bananas. 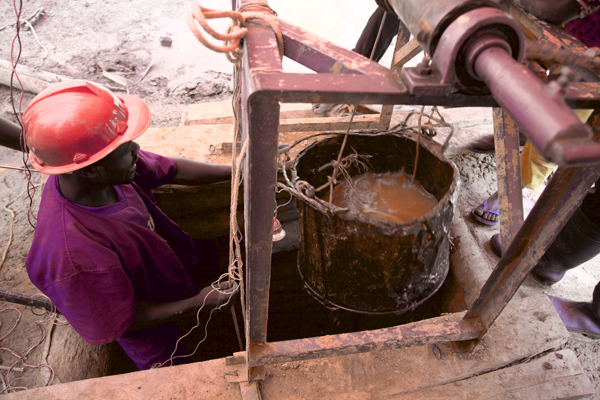 A small-scale gold miner in East Africa, bringing up water and dirt, containing gold dust, from the bottom of a mine. 14. The people of the land must benefit from the resources of their land. Small-scale miners supply about 15% of the world’s gold supply chain, but make up 90% of the world’s gold mining labor. They dig with shovels, and might get an ounce of gold from a ton of dirt. The United States is the largest jewelry market in the world. Imagine all the local economic development, people lifted out of poverty, and reduction of mercury poisoning that would be possible if Fairtrade Gold caught on here. 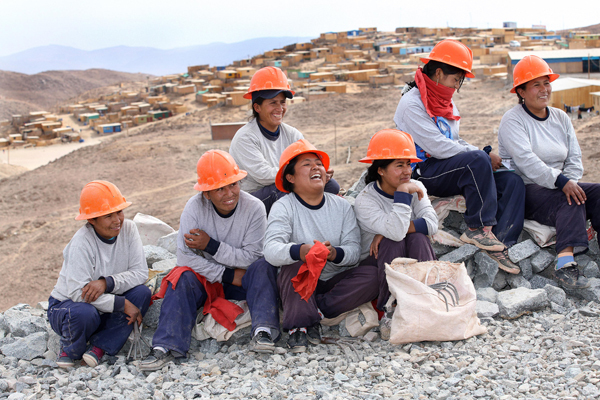 A team of truly empowered Fairtrade miners from the Esperanza Miners Association in Peru. 15. Fairtrade Gold is the best model for jewelry that brings social, environmental and economic justice. We need solutions that create regenerative economic models. We need the right kind of businesses, businesses that empower local economy. Join the Fairtrade Gold movement. Ask your jeweler to make your jewelry out of Fairtrade Gold. While this article is great and informative, you (again, as I have posted on your page before about this) have seriously failed to fly the responsible flag by stating that only Fairtrade is the choice. Fairmined is not only equally as responsible but it gives a better premium back to its miners and artisnal communities and is available in silver too. Hi Lisa— Recycled gold does indeed have zero environmental benefit. Here’s why: as long as mining activity continues at usual, more and more mercury is being dumped into our environment. (This is particularly true of small-scale mining, which is the second largest contributor of global mercury contamination after coal-fired power plants.) Recycled gold does not directly contribute to this, but no amount of recycled gold will change mining activity. Gold is not simply mined for use, but as an investment hedge. Fairtrade Gold allows small-scale miners to mine without dumping mercury into the environment, or ideally without mercury at all. 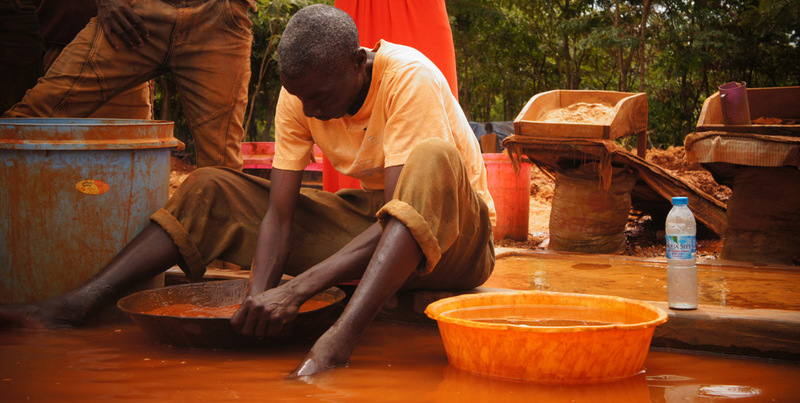 This is why Fairtrade Gold is environmentally-friendly, while recycled gold is not. Recycled gold is basically dirty gold, as the infographic at the top of this post shows. It has destroyed environments and contaminated the earth with mercury. Refining it and re-purposing it doesn’t make it eco-friendly.